A prior review of the ISO 9001:2015 and ISO 14001:2015 standards and internal audit experience is suggested for this course. Please note: This course does include a prework assignment. 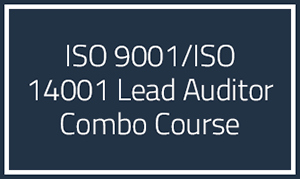 *ISO 9001 may be taken independently of ISO 14001 and vice versa. If you wish to do this, please contact our office.